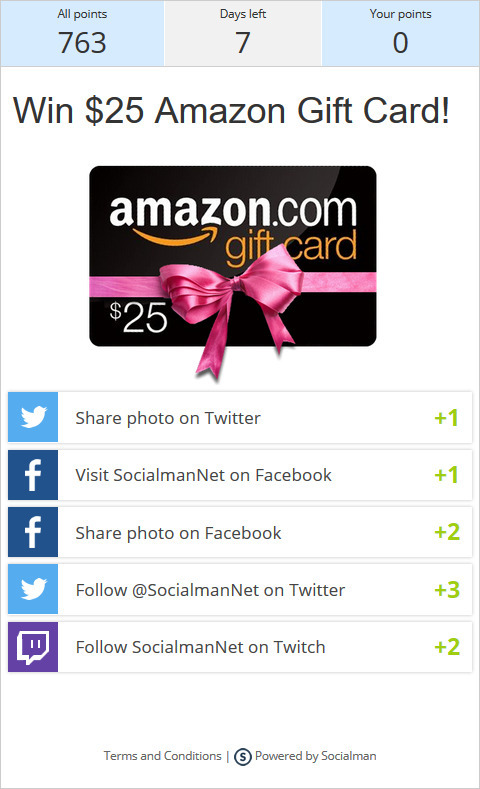 Socialman is a SaaS platform for creating and managing giveaways through multiple social media channels. 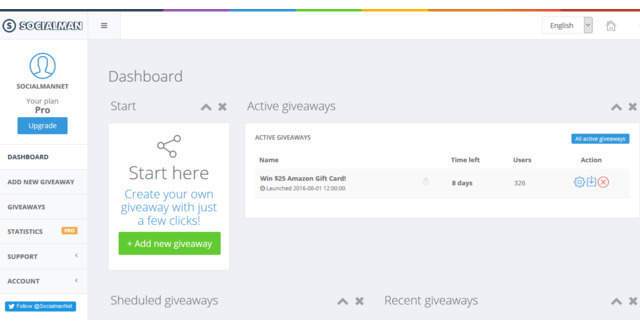 It is a cross-platform aplication which allows users to post content on Facebook, Twitter, Vkontakte, Twitch, Instagram, Pinterest and Youtube. 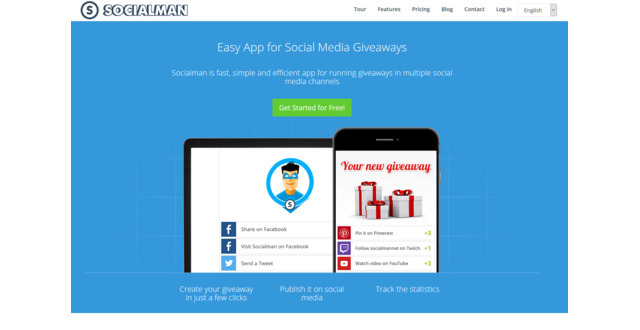 Socialman is a tool for marketers and bloggers, as well as brands interested in improoving social media engagement and presence.